Why lose weight? Because even a 5% reduction in body weight improves cholesterol, blood pressure and blood sugar levels. In addition, lowering body fat decreases arthritis pain, improves stamina and even reduces the risk of many cancers! 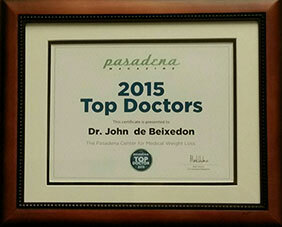 Dr. de Beixedon will create a comprehensive personalized weight loss program tailored just for you. This includes body composition analysis, doctor-supervised food plans, metabolism regulation, appetite management, lifestyle and motivational coaching, science-based activity recommendations and much more. The Accelerated plan includes six weeks of one-on-one visits with Dr. de Beixedon, simple medical tests to monitor your weight loss progress, and a high-nutrition calorie-controlled food plan. Accelerated Plus also includes vitamin regulation. The Low Calorie Diet (LCD) is a high-nutrition calorie-controlled plan your doctor will prescribe for you and monitor closely. The Modified LCD is the same plan, but adjusted to include a calorie-specific dinner that may include your favorite foods. 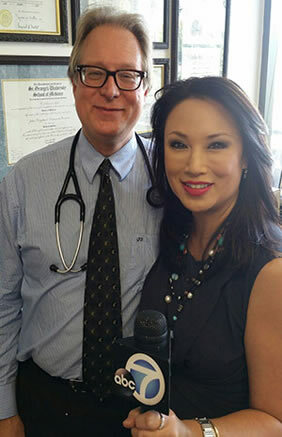 Jumpstart your CMWL weight loss plan with an appetite suppressant prescribed and monitored by Dr. de Beixedon. Once you understand how medical weight loss works, you can feel confident that Dr. de Beixedon is the most qualified physician to help you achieve your weight loss goals. CMWL Doctors have received the most in-depth, comprehensive medical weight loss training available. Not only do they understand the physical aspects of weight loss, but have been trained to address any behaviors holding you back from reaching your weight loss goals. This means you will have a high-skilled, supportive, and caring medical expert on your side, helping you to lose those initial pounds quickly and safely, and teaching you to keep them off for good.